With three growing kids (and a fourth due in August), I have often found myself sitting with the “fans” at some event my child is participating in. And while in my work, I’m typically calling out plays, or offering “constructive criticism,” from the sideline, as I’ve watched my kids’ soccer games, baseball practices, and dance recitals, I’ve been able to keep quiet. And what I’ve noticed is eye opening – usually, what seems to be 500 voices all telling the kids on the field or stage what to do. I have played college basketball and shot a free throw in front of 10,000 people with the game on the line and felt less stress and confusion than I have sitting with a bunch of “fans” yelling for their kids to somehow do 3 things at once. These are the same kids that we cheer for when they stay inside a line while coloring or stay in their bed at night. Where is the balance? What are our expectations? What are our intentions as parents? Being a fan and cheering is great as long as it doesn’t go any further than that. I would never tell someone to be quiet for being a fan. When it comes to instruction I usually stay quiet because I want to let the coach do that…coach. I also, stay quiet because I think it is unrealistic to expect my “DNA Team” of an 8, 6, and 4 year-old to be able to learn how to play (and even possibly enjoy it) when constantly being told what they need to do. They need to make mistakes on their own and learn how to adjust properly while listening to their coach. Of course I want my kids to score the winning goal, hit a home run, and execute the perfect plié…(Yes, I know what a plié is thanks to Kelcy’s Dance Studio). My wife often jokes saying I try to live out my glory days through my kids sporting events. I always strongly rebut that; even though I grew up in Texas, being James Van Der Beek’s dad from Varsity Blues is not my thing. I do find myself wanting my kids to play better. I do push. Maybe too much at times. It’s important to push as a coach – no team has ever really succeeded without being pushed. But how much? And more importantly, for what reasons? They’re questions that any coach at any level needs to ask themselves. Is your pushing truly for the good of your kids or is it partly about you? Is it all about you? 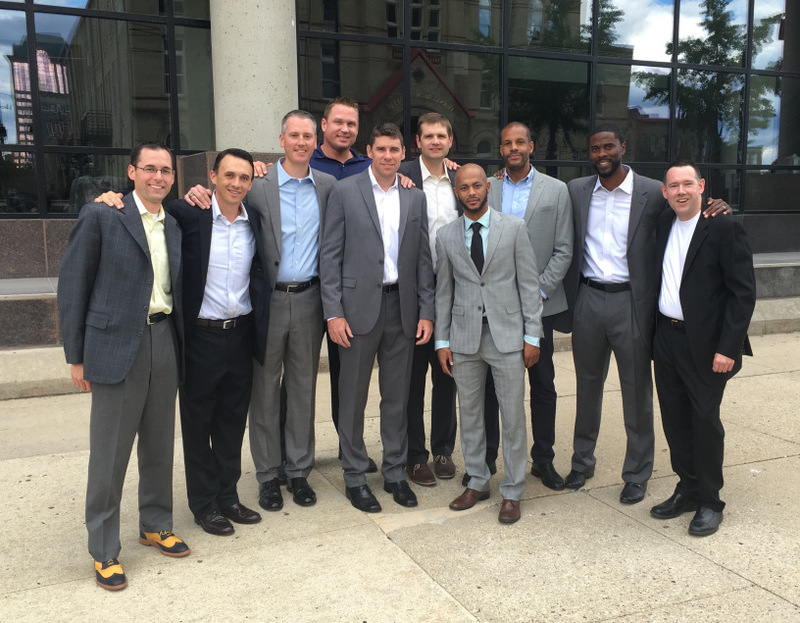 I recently attended a reunion honoring Marquette’s 100 years of basketball. Being there reminded me a lot of the pride that I have at having played and I walked away with renewed pride that I played at Marquette. 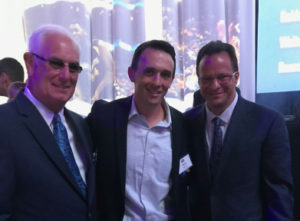 But being around both head coaches I played for in my time there (Mike Deane and Tom Crean), 10 teammates I played with, and a host of players I coached in my time there also reminded me of the personal bonds that I made on the court, as I trained, won, and lost with men who became like brothers. And over the weekend, each time a new teammate, team doctor, coach, and administrator from our past walk into the room there was the same reaction. It was a great feeling to be “back” there, reliving old times, with great old friends. I couldn’t help but cherish it and to want to go back. More than that, it’s something I want for my teams – both my own children, and the players I coach. This is one of the great values of sports – not only does it teach essential lessons and virtues, but it provides opportunities for camaraderie that are like no other. I want my kids to play sports and (hopefully) succeed, but I also want them to have the relationships that sport brought me over the years. But I can’t force it to happen, and I can’t go back in time through them. And there you have it…my coaching advice for today is based on the 1985 movie Back To The Future. A goal of mine as both a parent and as a coach is to get my team to have faith in my message in order for them to experience a future based on mine and other’s pasts. Take that Doc Brown. That is more mind-blowing than 1.21 gigawatts! So, why do I push my kids? I often try to share with my current team that as long as they play hard and listen, I will support them even if they don’t play great. 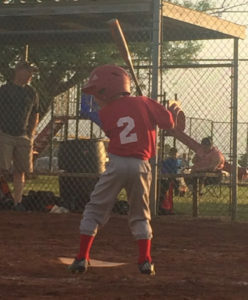 I do often try to share with them what sports can do for their future by relating back to my past. I am lucky to have been part of a team that accomplished so much at Marquette. We all were. The crazy thing is that I was on average teams based on our win and loss record. However, our teams played with great effort during the 1998-2001 seasons. That bond we had and the foundation we laid is what I strive to relay to my team now. I endeavor to show my own children that working hard, pushing through difficult times, and believing in something that they have yet to experience is worth it. And that’s a worthy reason to push. You do this by bringing a positive energy and an excitement every day. Share stories with your team, but more importantly show them each day by how you live. Kids get sick and tired of hearing, “back when I played I got in extra shots each night, or…other teams I coached were so much better because…”. There is a time and place for that. However, the way you act in relation to your past is more powerful than any words a coach can give. Hopefully, they can experience a great sense of pride with future teams at their respective reunions. And maybe they’ll even be flying cars by then?